Birthday Month: What's Happening & What You Can Win! It's officially April (has been for eleven days actually and where have I been? That's a topic for another post) and Springtime has settled in very nicely! It's my birthday month, for my fellow Aries and I, so I thought there's got to be something I can do to celebrate with my blog followers. Because, long story short, you guys are my bookish family: and because you can't be here in person, I want to make sure you can get involved! This year, I'll be 22! Where has the time gone? I feel like I only just turned 21, or 18 or even 16...but yet, here we are. Moving faster than I can blink, life speeding by quicker than The Flash. 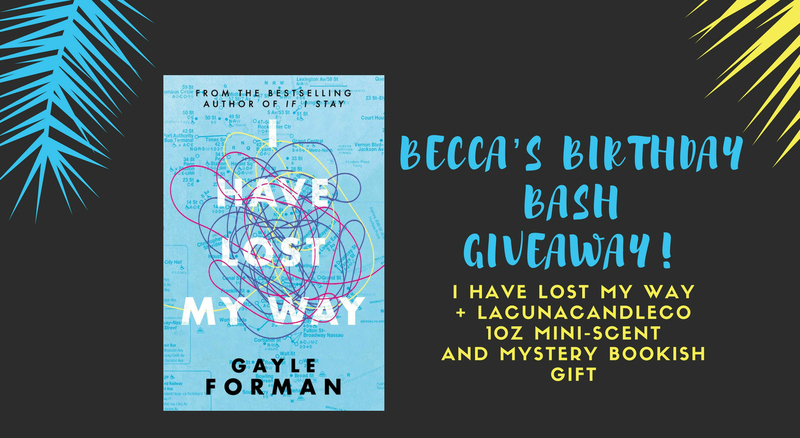 I've thought a little about what kind of Giveaway I could do and what I could give my readers. So I came to the conclusion that combining LacunaCandleCo (an epic new Soy Candle Company coming in June!) and a new YA Book with a bonus bookish gift sounded good. So if you're interested in winning, all you have to do is Retweet this tweet below and Follow me on Twitter to be in with a chance. All the rules are listed in the tweet below and it's of course, open Internationally! I can't wait to share my birthday with you all. This ends on my ACTUAL birthday, April 17th!